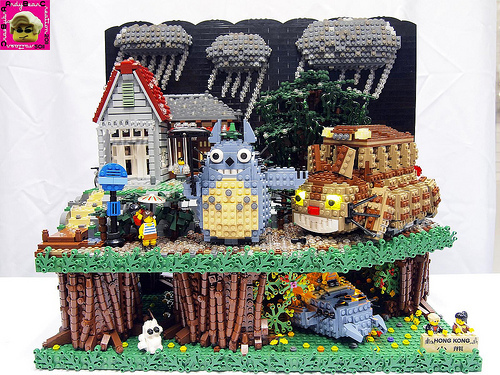 It would take a hard heart not to be moved by Kendall Brown‘s adorable digital LEGO Totoro and Satsuki. 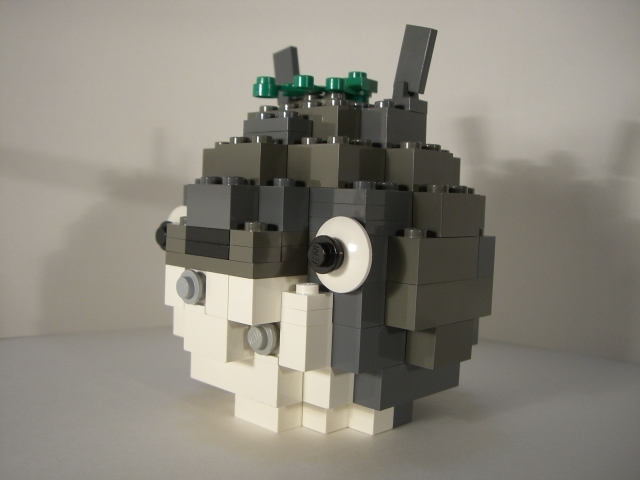 As with his Elf and Narwhal and Wizard of Oz characters, which we recently featured, it’s a perfect example of how to build in the BrickHeadz theme. 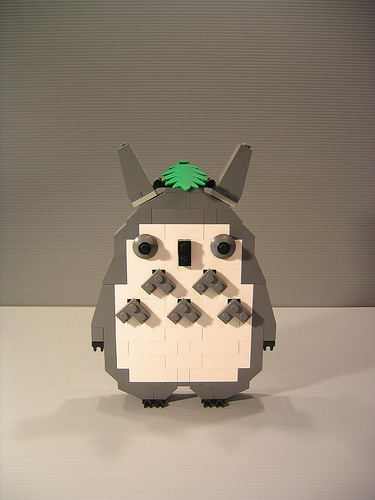 In this case it’s the selection of cartoon tile eyes, perfectly spaced, which captures Totoro’s quizzical expression and lifts the build to another level. 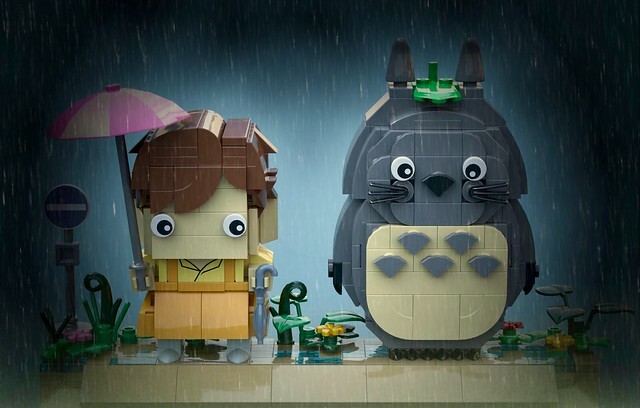 Mix in all those extra touches like the flicks in Satsuki’s hair, Totoro’s tummy fur, and atmospheric Photoshop rain and you have a fitting tribute to one of the greatest animated films of all time. I watched My Neighbour Totoro for the first time just after Christmas. I wish I had seen it years ago, because it was absolutely wonderful. 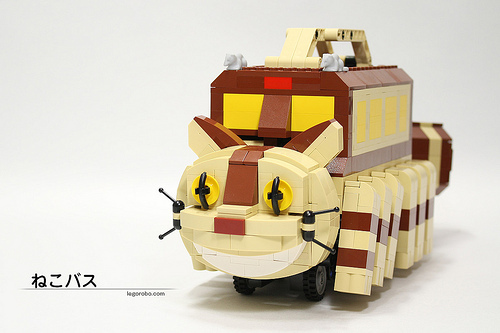 So seeing legorobo:waka’s model of the iconic Catbus was right up my alley! I love the somewhat simplified/blocky style…and that smile is just spot on! Check out the full photoset for all the views. 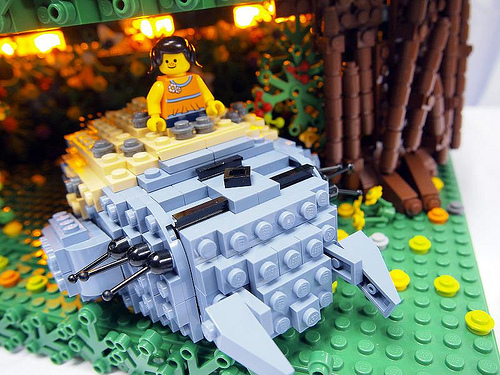 Our final Hayao Miyazaki tribute for the evening — and last post title in Japanese, for now — is this scene from My Neighbor Totoro by Andy Hung (andybear@hk), who lights up the night with an electrified Catbus in another great entry for the LEGO contest in Hong Kong. What better way to wrap up today’s green-themed posts with a character inspired by Hayao Miyazaki, whose movies remind us how beautiful and fragile this world is. 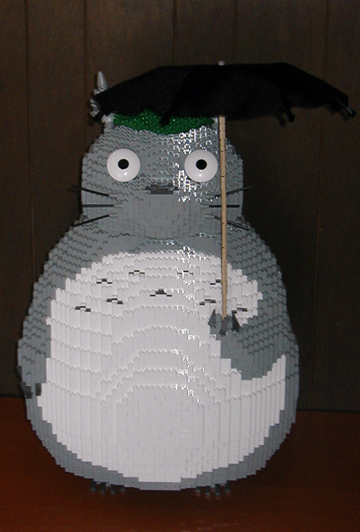 The leaf on his head makes this LEGO Totoro adorably perfect. Most readers probably know by now that my favorite anime director is Hayao Miyazaki. It should be no surprise that I’ll pretty much blog anything Miyazaki-related. 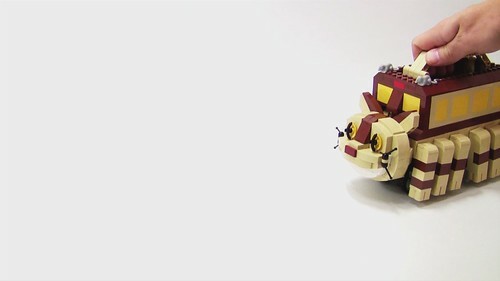 Search Brickshelf and discover even more!